A major positive impact to improving the environment can be done by doing something very simple: replace the cleaning products in your home with non-toxic products and from a company that implements best green practices. Use concentrated products that require fewer purchases and buy in the large size. Use products that have creative re-use functions. 3. Indirect Energy use is 60% of the energy we consume. purchase and when they are shipped to warehouses and stores to sit in a display. 60% of our carbon footprint is related to purchasing our products. In addition, most products are diluted up to 80% with water. It costs more fuel to pack and ship water. 4. Pollution of our Water and Destruction of Our Environment Household waste is a major source of landfill waste and toxins in our water system. oceans and our coral reefs and other natural resources. http://www.broward.org/knowtheflow/welcome.htm This is a great resource for understanding about water conservation called Know the Flow. Replace your cleaning products with non-toxic choices such as Get Clean by Shaklee. They are safe for you, good for the planet, and saves you money. 1. Use less fuel and utilize alternative energy sources. While you may not be able to afford a hybrid car, you can do other things to reduce your fuel consumption such as, drive less, use a bicycle or a motor scooter. Replace appliances with solar or energy efficient brands. Turn off the lights in your home and use cfl’s. 2. Reduce, Reuse, Recycle. These actions need to be done in order. The first thing is that we want to use less and consume less. This reduces the amount of products in our landfills. Landfills are one the biggest sources of green house gas that affects the environment and a source of toxins in our water and soil. The most important items that need to be reduced are plastic grocery bags, plastic water bottles, and product packaging. direct impact on reducing greenhouse gases, part of the reduce, re-use, recycle process, or reduces the effect on our natural resources. Scientific studies also should indicate that they have done their homework and their product is effective. Do they implement best green practices in their organization? For example, while a real estate person may not have a green product or service, but as a company they implement best practices. Among other things, they would decide to not use disposable cups, plates, and other such items. 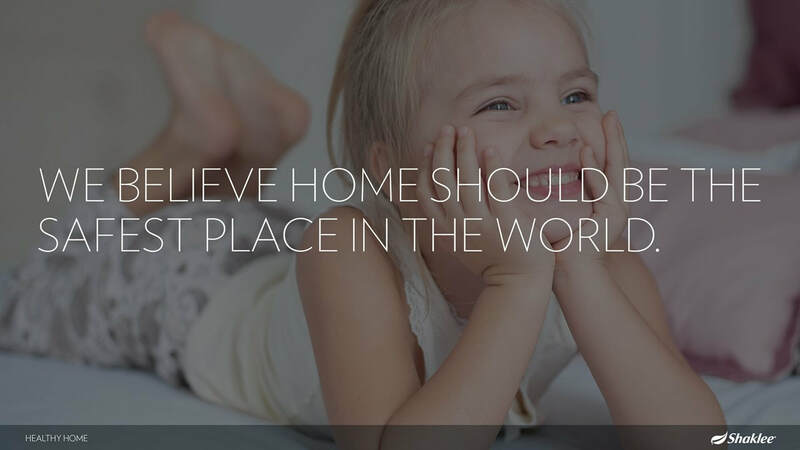 home webpage to information about the company. Going Green is a Win-Win situation. It helps to reduce Global warming, protect our natural resources, makes us more healthy, and is good for the economy. Knowing some of the best practices and making a commitment to implementing some changes can make a difference. Today there is a growing awareness about the need to become “Green.” However, many people are still unaware of what they should do to really make a difference. This is the first of a series of Green Blogs that will share some significant information that will help you to be aware of the situation and how to implement some of the Green Best Practices that are practical and affordable. Why should we be concerned about implementing Green Best Practices in our homes and in our community? There are 3 reasons. 1. Reduce the Effects of Global Warming. While there is some controversy over whether or not the fuel we consume contributes to Global Warming, or if we can still reduce enough to make a difference will yet to be determined. However, is the statistics of the changes that are occurring to our planet is alarming. For most people, they would prefer to err on the side of reducing one’s carbon footprint rather than wishing later that we had taken action when we could. 2. Improve the Quality of our Natural Resources. Our natural resources are depleted. We do not have clean air, clean water, clean soil. We have too few trees, too few native plants, and too few animals in their natural habitat. 3. Improve Our Health Today We have seen an increase in the number of health ailments directly related to our unclean environment today. There is an increase in asthma, allergies, cancer, attention deficit disorder and other physical and emotional difficulties. These have been associated with the chemicals and toxins in our food, products we use, and our lack of a natural environment. The next post I will share with you 4 things we can do that will help us to have a healthy home and healthy planet. Why do people struggle to become Slim and Healthy? Here are 4 reasons why and how Shaklee can help you to deal with these obstacles. 1. We are nutritionally undereducated. 2. We eat for taste, not nutrition. help ourselves to “retrain” our tastebuds to favor healthy choices. 3. We have developed poor eating habits. 4. We are not familiar with the steps to changing our behavior and attitudes. leads to our ideal weight. These are the reasons why it is important to go on a weight loss program that will help you to lose weight safely, change some of your habits and to keep your weight off! Here is why I chose to follow the Shaklee 180 weight loss program. They have done an excellent job on taste! I personally have gone from a size 14 (which was too tight) to a size 6 following the Shaklee program. I have now maintained my size 6 for over 20 years and have excellent health. I would not have been able to do this without the help of Shaklee 180 program and their maintenance/nutritional program. Try it, I think you will be amazed at the results and how it will help you to deal with the 4 obstacles that may be keeping you from being slim and healthy! Did you Wake Up Feeling Good Today? Research has shown that people who take Shaklee supplements on a consistent have significantly better health than those who took other supplements or those who just ate "healthy." Why? Because it is difficult to get all the nutrients we need from the foods we eat today. Shaklee Corporation is a company that tests for quality ingredients, quality of processing, and scientific evidence that the products work. So where do you begin? One of the foundation products that can make a real difference in your health is Vita Lea mulit-vitamins and the other important product is their Energizing Protein drink mix. For less than the cost of a soda or snack you can have nutrition that will help you to have better health and energy. Try it for 30 days...and evaluate the difference for yourself! Why are most people attracted to “lose weight fast” type off diets? I think that many people are looking for a quick fix that will instantly make them be the slim person they want to be but don’t think about the healthy part of that equation. So instead they get stuck on what I call the “diet cycle” – they go from one diet to the next, looking for a magical formula to help them lose weight and they continue to not feel good and possibly cause some long-term damage to their health. There are people however who do lose the weight they want, keep it off, and have a longer healthier life. What would that type of weight loss program look like? Most nutritionists and those who have had successful weight loss experiences agree that a weight loss program should meet several criteria to help a person to be slim and healthy. 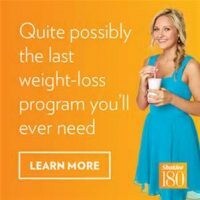 The program I found that helped me to be slim and healthy is the Shaklee 180 Weight Loss Program. The Shaklee 180 Program is designed to meet each criterion and why so many people have had successful results on the Shaklee 180 Weight Loss Program. People are finding that they feel good, do not feel deprived, and can still enjoy the food they like. First you need a safe program. Going on a low-calorie diet is not always healthy because it is difficult to get all the nutrition you need below 2,000 calories. The scientists at Shaklee have developed a nutritionally balanced shake mix and vitamin supplements with all the proper nutrition required. The ingredients are also important. Shaklee products are made with all natural and organic ingredients, so you never have to worry about the quality. You can also be assured that there are none of those unwanted ingredients that can often harm your health. Shaklee 180 is also easy to follow, good suggested menus that are also family friendly. The reason why I found that the program is easy to follow for more than a few days is because the structure and consistency of knowing what to eat for breakfast and lunch took the guess work out of what to do. I could start losing weight right away and then learn what I needed to change in my eating habits. Being able to plan the evening meal gave me enough flexibility to make family friendly meals around the foods we enjoy and to help teach us better eating habits. In addition, I wasn't hungry and continued to have energy. I liked the plan too because I found that I could make it work for me long-term. Keeping the weight off is the real goal. I love the Shakes and vitamins and I continued to keep them as part of my daily nutritional routine even after I lost the weight I wanted to lose. I found that the equation of calories eaten vs calories burned can be balanced throughout the week. When I have special occasions or I want to splurge a little on the weekend, I don’t have to feel guilty because I know I can easily go back to the Shaklee program and feel satisfied and not deprived. I also like the way my body responded to the weight loss. I lost weight where I wanted to. I credit this to the Shaklee Life Plan shake because it is designed to help you to lose fat, not muscle. With most low- calorie diets, you lose both fat and muscle which is not good. Shaklee Life Plan shake has extra “leucine” in it which is the amino acid needed to maintain muscle. When you maintain your muscle, you only lose fat and this also helps you to maintain your energy and metabolism. So how does “reasonably priced” rate as a criterion for a good program? Most people will not stick to an expensive program. But most everyone can afford to use the Shaklee 180 products. They are reasonably priced especially for a product that has such high quality organic ingredients. When you purchase the total Turnaround Kit, it comes to approximately $3.50 for each of the 2 meals and a snack (less than $10 a day for all 3). So, if these are the 7 criteria you are looking for, I am confident you also will find that the Shaklee’s 180 weight loss program will measure up. Are ready to break the diet cycle and become the slim and healthy person you have always wanted to be? Take a 30 day challenge. Try the Shakle 180 program for one month - compare the before and after results! You're gonna like the Slim and Healthy You!